A Raanana resident, 49, has been accused of violently attacking his wife, spilling a jar of coffee, a jar of sugar and water from a pot on her head, then telling her to "clean it up." In the indictment filed on Monday in the Kfar Saba Magistrate’s Court, the man was also accused of other attacks over a period of time. According to the indictment, on April 4 at 2 am, an argument broke out between the two, while the man was drinking beer and taking pills. As a result, the woman decided to leave the residence. The defendant went after her, and broke her car’s side mirror and windshield. He then pulled down her pants, pulled her hair and hit her. According to the woman, her husband said he was not afraid to go to jail, as he had been imprisoned in the past. The husband was arrested on April 4 after officers were called in to the couple's home and found the woman crying, upset and wet. During questioning, the man admitted to having been involved, but denied using violence. Rivka Teitel, wife of Jewish terrorist Yaakov Teitel, filed a complaint with the Police Internal Affairs Department claiming she was sexually harassed during an interrogation. Internal Affairs stated in response that the case was closed after Teitel failed to arrive for a deposition. Yaakov Teitel, who was convicted in early 2013 for the murder of two Palestinians, was arrested in 2009 following a prolonged Shin Bet investigation. Since his arrest, his wife has resided with their children in the Shevut Rachel settlement in Binyamin, the West Bank. Rivka Teitel was arrested in a wave of arrests in late 2012 in various settlements in Binyamin, and claimed that during her interrogation she suffered verbal abuse, demeaning and rude sexual insinuations. She was released after several days and recently decided to file the complaint. Internal Affairs stated in response: "A complaint was indeed filed via Mrs. Teitel's lawyer. She was summoned to be deposed so the issue could be further investigated. As she failed to do so, the case was closed." An elderly man, who was traveling on David Magen street in Herzliya, claimed that one of a number of youth pushed him and knocked him over, on Tuesday. On account of the incident, the eldery man was taken to Meir Medical Center in Kfar Saba. The two youths, residents of Ramat Gan and Tel Aviv, were arrested by Glilot police and were scheduled to be tried in the Tel Aviv Magistrate's Court for their possible remand. A major development in the investigation of the murder of Zehava Chakol, in which a soccer player and his friend were arrested. Congo national Aritzia Akalsongo admitted on Tuesday that he committed the murder, and re-enacted the event. According to police, the Akalsongo said the murder took place after a disagreement over money spiraled out of control. Investigators are still checking into the involvement of the soccer player, also considered a suspect. The two men will be in Kfar Saba Magistrate’s Court on Wednesday for a hearing to extend their remand. Since the body was found, detectives had suspected murder, and spent the Passover holiday collecting evidence. Heading the team was Superintendent Yigal Hasdai, with Itzik Elbaz as lead investigator. The special investigations team set itself the goal of solving the case before the end of the shiva. Tuesday morning, after realizing that the evidence was leaning strongly against him, Akalsongo broke down during a three-hour interrogation. He admitted his guilt to investigators, providing specific details of the crime. According a police source, the Akalsongo said an argument broke out between him and Chakol over money and he strangled her. 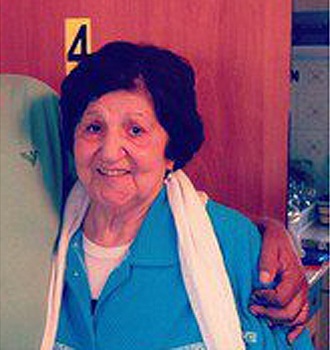 After she died, he threw her body out of the fifth floor apartment’s window. As a result of his admission, the suspect was asked to re-enact the event in front of cameras, which he did at the scene of the crime. The police source said Akalsongo ‘s re-enactment fit in with the details of the murder, making it nearly definite that the man is the perpetrator of the act. The police however, are continuing to question the soccer player to ascertain what, if any, his level of involvement was, due to the fact that the murder took place in a small apartment which the two men shared. The soccer player denies any connection to Chakol’s killing. Police arrested five residents of Esh Kodesh in the West Bank overnight Monday, after an undercover sting operation carried out amid ongoing clashes between residents of the settlement and the nearby Palestinian village of Kusra. Police also confiscated a number of weapons from the suspects, all listed as being in their twenties, including rifles and handguns. Police added that one of the suspects is an IDF soldier serving in the Military Rabbinate. The suspects were being interrogated and further information about their possible remand to custody was scheduled to be released on Tuesday, police stated. A 39-year-old mentally ill man was arrested overnight Monday on suspicion of stabbing his father to death at their apartment in Ashdod. Magen David Adom paramedics who were alerted to the scene pronounced the father (64) dead and treated the mother (58) and another son (32), who were both lightly injured and evacuated to the Kaplan Medical Center in Rehovot. Police suspect that at approximately 4 am the man stabbed his father, who was lying in bed, a number of times in the upper part of his body. The stabber's mother and brother sustained light injuries to their hands while restraining him. According to an initial investigation, more than 10 people were celebrating the Second Passover in the apartment at the time of the attack. Chief Superintendent Noam Shekel, the commander of the Ashdod police station, said the apartment was "full of blood" when officers arrived, adding that the suspect's father was lying on the bed with a number of injuries from a cold weapon. Pinchas Sassonker, a neighbor, said he heard screams from the apartment. "I heard someone yell 'No, don't do it!' I am not familiar with the family's background. I live above them." MDA spokesperson Zaki Heller said paramedics who arrived at the scene "found three people who had been stabbed, including a man in critical condition with stab wounds to the upper body. Following numerous resuscitation attempts, they were forced to pronounce him dead." On Sunday an indictment was filed against 81-year-old Jerusalem resident Yitzhak Ben-Shitrit, who is charged with murdering his wife with kitchen knives and a meat mallet. According to the indictment, in the past few months Ben-Shitrit began accusing his wife Mazal (79) of not tending to his needs, disrespecting him and hiding money from him. What made Yitzhak Ben-Shitrit, 81, of Jerusalem, stab his wife with three kitchen knives, attacking her again and again, until she died and continuing long after? It’s a question that still has no answer, but Sunday morning, prosecutors filed an indictment against him in the Jerusalem District Court for the murder of his wife Mazal, 79, three weeks ago. According to the indictment, in the past few months, Ben-Shitrit began to blame his wife, to whom he had been married since 1995, in not seeing to his needs, disrespecting his honor, and hiding money from him. He was accused of attacking Mazal Ben-Shitrit during the course of an argument sometime on the 8-9 of March, in the early hours of the morning in her apartment, in the capital city. According to the investigation, Ben-Shitrit stabbed her with three kitchen knives, at least 28 times in her head and multiple times in other parts of her body. He also attacked her with a meat mallet, and inflicted extensive damage post-mortem, for reasons which remain unclear. The husband, 79, informed the police hotline of the event, soon after it happened. “I killed her, there is blood in the apartment,” he said. The police are investigating a report that someone pushed on a panic button in the apartment, which connects to a security agency, but no one replied or checked it out. According to the indictment, after murdering his wife, Ben-Shitrit called the police hotline, and said to the operator, “murder, murder,” and “someone has killed us.” In response to operator asking who the murder was, Ben-Shitrit claimed he did not know. He said that his wife was not responding and he requested medical assistance, but didn’t provide his full identity before hanging up. He told the operator, “they killed us,” and claimed that “someone slaughtered us.” He added that he could not stand and the apartment was full of blood. Ben-Shitrit's remand was extended by the court - he stands accused of pre-meditated murder. He was lightly injured during the event and was brought into the court room in a wheelchair. His children and Mazal's son from her first marriage were present at the hearing. Mazal Ben Shitrit's son said that he did not know what had happened in the apartment, and asked to review the indictment before commenting. He added that he is not angry with the Ben-Shitrit children. Violence against a senior citizens continues, this time a man was assaulted over his 'audacity’ to chide a couple who let their dog into the children’s play area in his neighborhood in Herzliya. A 27-year old man is suspected of hitting Oron in the face and pushed him several times until he fell on the ground, leaving him with an open break on his ankle. This incident took place a day after a 79-year-old Holocaust survivor in Holon was attacked by the father of a child who was taking apart benches in a public park. Both instances were first reported by Ynet. Oron left his house in Herzliya on Saturday with his neighbor, 80, to go to the public garden, on Rishon Lezion Street in the city. As they were sitting in the garden, a group of teenagers arrived with their dogs. Lior Ram, Oron’s son-in-law, said, “In the public garden there is an area designated as a children’s playground. On the fence there are signs stating it’s forbidden to allow dogs into the area. More than once, my father-in-law saw people letting their dogs in and said something to them. At this point, Ram says, the confrontation between the man and Ram's father-in-law escalated, with the suspect coming up to him and ramming him violently in the head before pushing him backward. Oron fell and during the fall, part of his leg which was under the leg of the attacker, broke. 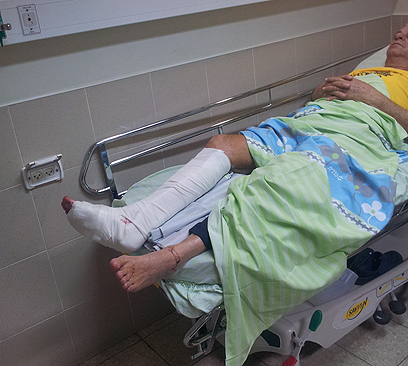 “This created an open break, the leg was literally torn out of place and Amiram was left moaning in pain,” his son-in-law said from his seat next to him at the emergency room of Meir Medical Center in Kfar Saba. Oron’s relatives are worried. “He will probably need to have an operation and who knows how he will succeed in walking again. He was suffering from severe pain, and was surprised and shocked that he was attacked by the teen just because he told him not to bring his dog into the area meant for children. What have we come to if they attack the elderly like this because of nothing? We hope the police will extract justice from with the attacker,” his son-in-law said. 'It reminded me of my childhood’ At the same time the police continue to investigate the earlier attack of the Holocaust survivor Pavel (Pavlik) Gertman, 79, whose ‘sin’ was to make a remark to children who were taking apart a bench and table in the pillbox park in the Tel Giborim neighborhood of Holon. “I was in Holon's center when I noticed a number of children with a shopping cart dismantling the benches elderly people sit on every day. I approached them and asked, 'What are you doing?' I began to take out the boards they loaded onto the cart," Gertman said. "A few minutes later a man of about 40 showed up and began yelling at me and shoving me. He sat me down on the bench, put his hand on my neck and started hitting me,” the elderly man told Ynet. The investigation of the Ayalon Sub-District Police found that the suspect in the attack is not classified as a felon, and he is cooperating completely with the police. He claimed the elderly man was the one who threatened him with his cane and even scratched him with it. The suspect was questioned and granted limited release on bail, and the police have not yet decided whether to file an indictment against him. Police plan to request to extend his arrest in Tel Aviv Disrict Court. He was stopped for mutual assault. Nearly six weeks after the Israeli regime confirmed that an Australian-Israeli Mossad agent had committed suicide in one of its maximum security prisons, it is still unclear whether his death was murder or suicide. According to press reports in Australia and Europe, the agent, Ben Zygier, also known as Prisoner X, was originally dispatched to Europe in 2005 by his Mossad handlers with a mission to infiltrate companies that did business with Iran in an effort to be assigned to the country under a commercial cover. Although he succeeded in getting hired by a midsize European company, Zygier failed in his mission to penetrate Iran and was ordered to return to Israel. Zygier, described as “an enthusiastic Zionist who grew up in a prominent Jewish family in Melbourne and immigrated to Israel as a young man,” then won Mossad’s approval to return to his native Australia under the alias Ben Alon to continue his college studies. The reports further emphasize that following his February 2008 return to Australia, he attempted to approach members of Lebanon’s Hezbollah movement at University of Melbourne in an unauthorized, freelance effort to recruit them for Mossad. In an apparent bid to gain the trust of a key Hezbollah agent in Eastern Europe, the reports say, Zygier “unintentionally” exposed two important Mossad elements in Lebanon, leading to their arrest and imprisonment. These press reports have further revealed that Zygier believed that he had recruited the Hezbollah agent to work for Mossad, but it was indeed the Hezbollah man that played a double game with him, relaying all the information furnished by Zygier back to Hezbollah leadership in Lebanon. As a result, the two Mossad elements, Ziad al-Homsi and Mustafa Ali Awadeh, were arrested in Lebanon in May 2009 and sentenced to long prison terms. According to the British daily Independent, Zygier’s leaking of Mossad secrets was regarded as the biggest “treason” by the notorious spy agency, eventually leading to his recall to Israel in February 2010 and immediate arrest and imprisonment in a maximum security facility. It appears, however, that Zygier was killed in the Israeli prison since Mossad was convinced, and enraged, that he was feeding information to Hezbollah elements. This is while the entire maximum security prison, except the toilets in solitary cells, is under a 24-hour video monitoring. The Israeli regime claimed two months ago that Zygier had used a bed sheet to hang himself inside his cell’s toilet. The guards found the Mossad agent at 8:19 p.m., his lifeless body hanging from a moist sheet. The sheet was tied to the window above the toilet in his prison cell. ANZEIGE The cell in which Ben Zygier died was divided into two sections, one containing a bed, a seating area and a kitchenette, and a separate shower room with a toilet. There were three cameras monitoring the prisoner, but none of the security officers noticed that there had been no signs of life from Zygier in more than an hour. When the guards found him in the shower room, his body had already begun cooling. It was an undignified death for a Zionist who had set out to defend Israel's future. "Our job was to isolate him, not to keep him alive," one of the guards later said. The Ayalon maximum-security prison, where Zygier was imprisoned, is in Ramla, a suburb in northeast Tel Aviv. There are 700 prisoners and 260 guards at the facility, one of the best guarded prisons in all of Israel. The prisoners in the maximum-security wing are not allowed to use the synagogue or the fitness room, with its punching bag and exercise mats. Cell No. 15, in which Zygier died, is reserved for enemies of the State of Israel. Yigal Amir, the murderer of former Prime Minister Yitzhak Rabin, was held there. Enemy of the state is also the designation with which Zygier could enter the annals of Israeli history. It has been two years since the prisoner died, but only now are bits of information coming to light. The case has made headlines around the world, putting both the governments of Israel and Australia on the defensive. In Tel Aviv, the affair has been treated as a state secret with a gag order, which has only recently been loosened, imposed on the media. Conspiracy theories about his fate have been plentiful, including speculation that Zygier was murdered in prison. Now, for the first time, it has become possible to describe what really triggered the agent's imprisonment. For months, a SPIEGEL team from Germany, Israel and Australia looked into the case, conducting interviews with Zygier's former friends and business partners, employees of various intelligence services and governments. The research shows that Zygier -- likely unintentionally -- became one of the most controversial spies in Israeli history, responsible for the arrests of several Lebanese informants who delivered information to the Mossad. He did what no Mossad agent had ever done before in this shadow war of intelligence agencies in the Middle East: He betrayed his country to its mortal enemies. His story is that of a young man who dreamed of becoming an Israeli hero, one who wanted to prove himself no matter how high the cost. One who failed and saw no other way out than to commit suicide. There were no indications of this dramatic end when Benjamin Zygier was growing up in a neighborhood in southeast Melbourne. His father Geoffrey, known as a conservative Jew, ran a successful muesli business and was involved in the Jewish community. Ben Zygier attended the best Jewish schools in the city, and joined the leftist Zionist youth organization Hashom Hatzair. After graduating from high school in 1993, he began studying law at Monash University and eventually announced his intention to move to Israel. "I wasn't very surprised that he had the guts to try something bigger in life than just working as an attorney in a Melbourne law firm," Carolyn Creswell, a friend of the family and Zygier's former English teacher, told Australian reporters. In 1994, he made his dream reality and moved to the Gazit kibbutz in Israel to find out if the country could become his new homeland. The kibbutz is in northern Israel, on a road lined with eucalyptus trees as it winds through the hills of Galilee. About 500 people live in Gazit, where low houses with tiled roofs stand in the shadow of Mt. Tabor. In the main office at the kibbutz creamery stands Daniel Leiton, 40, a man with strong hands and an Australian accent. "Ben was an incredible person," says Leiton -- happy, friendly and warm. Leiton says Zygier was one of his best friends. Zygier and Leiton met in Melbourne in the late 1980s. Though both were still teenagers, they were already Zionists at the time. It was clear to Ben at an early age that he would make Aliyah, says Leiton. Aliyah is the term used by Jews in the diaspora to describe moving to the Holy Land. Leiton was there when Zygier married his Israeli girlfriend, and he knows the family well. The last time Leiton saw Zygier was in early 2010, in Melbourne, shortly before his arrest. Was there anything odd about his behavior? Did he seem tense or worried? No, says Leiton. He was the same as always. The notion that his friend committed suicide is "unimaginable," Leiton says quietly, noting that Zygier was not suicidal at all. He can't imagine his friend being kept in isolation, in a maximum-security cell at Ayalon Prison. What about as a Mossad agent? Leiton swallows and says nothing. In the kibbutz, Zygier always raved about the Zionist dream, recalls Lior Brand, who lived with Leiton and Zygier in the kibbutz at the time. According to Brand, Zygier was clever, educated and worldly. He was also prepared to defend Israel at all costs. Indeed, he could have been the perfect man for the Mossad. For decades, the legendary intelligence service has been waging a shadow war against enemies who threaten to obliterate Israel. Mossad agents killed Hezbollah commander Imad Mughniyah in Damascus in 2008 and Hamas commander Mahmoud al-Mabhouh in Dubai in 2010. They have liquidated Iranian nuclear scientists, sabotaged Hezbollah hideouts in Lebanon. The Mossad constantly needs new recruits for this war, which has no beginning and no end. At the beginning of the new millennium, the agency for the first time ran public ads under its own name. "The Mossad is open. Not to everyone. Not to many. Maybe to you," read the slogan in the agency's campaign for "the job of your life." Men like Zygier, who hold a passport from a country that is above suspicion and can travel without attracting attention, are worth their weight in gold for the intelligence service. Furthermore, under Australian law, citizens may change their names several times and apply for new passports. According to the Australian government, Zygier had three passports. He sometimes traveled as Ben Allen or Ben Alon. The young Australian travelled back and forth between Israel and Australia. He graduated from law school in Melbourne and began working for a law firm there. He quit his job in 2003 and moved to Tel Aviv, where he began work as a trainee at Herzog, Fox & Ne'eman, one of the country's top law firms. In truth, however, he had applied in response to the Mossad advertisement and also, just to be sure, sent a fax to the Defense Ministry as well. The Mossad's selection process includes both the background check, which delves deeply into a candidate's family history, and psychological interviews. "We try to ferret out mentally unstable individuals," says one of the doctors who conducts the tests for the Mossad. Motti Kfir, a former Mossad trainer, adds: "Our people should be self-starters but not aggressive, courageous but not without fear, open-minded but tight-lipped." One of the exercises consists of touching the center of a circle with one's eyes closed. This is impossible, and anyone who does manage to do it must have blinked. It's a test to determine how honest the candidate is. A lie-detector test is also administered at the end of the selection process. The next phase began in December 2003. Zygier had passed all tests, and the Mossad had accepted him and sent him to an intensive training program that lasts about a year. There, trainees learn various manipulation techniques and how to falsify documents, among other skills. The Mossad sent him to Europe in early 2005, on his first mission. Zygier was to infiltrate companies that were doing business with Iran and Syria. His target was a company in southern Europe. The firm did business with Iranian companies, and it provided the perfect cover to establish contact with Iran and recruit potential informants. The company was not initiated in the Mossad's plans; Zygier got a job in the bookkeeping department. "It was soon clear to us that he had no experience in this area," says the head of the company in a meeting at a London law firm in mid-March 2013. "But he was so talented that he had soon acquired the necessary skills." Zygier quickly rose up through the ranks, and he was soon negotiating directly with customers. The head of the company remembers that the Australian was usually the fastest of the employees. "By 11 in the morning, he had finished tasks that would have taken others the entire day." But the head of the company also noticed something else: Zygier quickly lost interest with certain things, he seemed unmotivated and alienated business partners. Indeed, he almost lost one of the company's most important clients. "We had to let him go in late 2006," says the company head. Zygier apparently reacted calmly to the news. He had similar experiences with other companies. From southern Europe, the Mossad sent him to Eastern Europe, but things never quite clicked. Zygier couldn't deliver, at least not enough. Officials at Mossad headquarters near Tel Aviv were disappointed and recalled him in the summer of 2007. He was "neither especially good nor especially bad, just mediocre," says a security official familiar with the case. Zygier went from being a field agent to a desk jockey in Tel Aviv. The Mossad is divided into three large departments. The first one is called "Keshet" ("Rainbow") and is responsible for surveillance and observation operations. The "Caesarea" department, named after the ancient city, is the Mossad's strike force; it carries out attacks abroad. The largest department is called "Tsomet," a Hebrew works meaning "crossroads." It manages sources and analyses information. Zygier was sent back to Tsomet's desks at headquarters. Former Mossad employees describe the work in the Tsomet department as bureaucratic, with the routines like those seen in any government agency. In a change from earlier procedures, when Tsomet was divided into small units, Tsomet employees now have access to far more information. This makes it vulnerable to treason, as the Mossad would soon realize. In the early morning hours of May 16, 2009, Lebanese special units stormed into the house of Ziad al-Homsi in the western Bekaa Valley and arrested pulled the 61-year-old out of his bed. The arrest warrant accused Homsi of being an Israeli agent. The arrest came as a shock to many Lebanese, not just because Homsi had been the mayor of his town for years. He was also treated as a war hero, because he had fought against Israel during the Lebanese civil war. His supporters could hardly believe what the weeks of subsequent interrogations brought to light: that Homsi had worked as a spy for archenemy Israel since 2006 and was paid about $100,000 (€78,000) for his services. Homsi's Mossad code name was "Indian," and a detail from his interrogation shows how important he was: He was trying to provide the Israelis access to Hezbollah chief Hassan Nasrallah, who lives in hiding. He was likely paving the way for the next assassination. The indictment against Homsi revealed the elaborate lengths to which the Mossad went to recruit foreign agents. A Chinese man named "David" had apparently introduced himself to Homsi as an employee with the city government in Beijing and as a representative of a Chinese company that wanted to establish business ties. At a meeting in Lebanon, "David" then invited Homsi to Beijing to attend a trade fair, telling him that the invitation had come directly from the Chinese government. Additional meetings in Bangkok followed, and the Chinese enticed the Lebanese with a monthly salary of $1,700. Then they began asking questions. For instance, they asked, what did Homsi know about three Israeli soldiers who had been missing since the 1982 war with Lebanon, in which Homsi had fought on the side of the Arabs? "This is the moment at which the defendant becomes aware that he is dealing with Israelis, who work for the Mossad and have nothing to do with import-export companies or services that search for missing people," the indictment reads. The Mossad provided Homsi with a computer and a doctored USB flash drive, as well as a device that looked like a stereo system but was in fact a transmitter for sending messages. According to the indictment, the spy sent reports to Tel Aviv every five days. The technology was found during his arrest in May 2009. Homsi, says General Ashraf Rifi, the head of the Lebanon intelligence service, was one of the most important catches his agency had ever made. Homsi was sentenced to 15 years in prison with hard labor, though was later amnestied. During that spring of 2009, the Lebanese cracked several Israeli spy rings in Lebanon. Among those arrested was Mustafa Ali Awadeh, code name "Zuzi," another important mole within Hezbollah. For the Israelis, it was the biggest intelligence setback in the region in decades. Officials at Mossad headquarters were baffled. How did the Lebanese manage to track down the Israeli sources? Then a tip was received from Lebanon: There had been talk within Hezbollah of a Mossad agent who was in Australia at the time. It was soon clear that the agent had to be Ben Zygier. Zygier, frustrated by his desk job, had requested leave so that he could go back to school to earn a master's degree in management. The Mossad even continued to pay the agent's salary. In October 2008, Zygier enrolled at Monash University in Melbourne again, this time under the name "Ben Allen." He explained that he had worked for a consulting firm in Geneva and that he occasionally had to return to Switzerland for the firm. It explained his many trips. On a Sunday in October 2009, SPIEGEL employee Jason Koutsoukis, who was working as a Middle East correspondent for the Australian newspapers The Age and Sydney Morning Herald at the time, received an encrypted email apparently from an Australian government employee. "Intelligence investigations have uncovered one particular Israeli agent of Australian birth who is currently living back in Australia. There is even the suspicion that he is involved in an active Mossad operation in this country," the email read. Another email mentions the company where Zygier worked in 2005. The Australians had apparently been observing Zygier's activities for some time. Koutsoukis called Zygier in early December 2009 and confronted him with the accusations. "That's a total fantasy," Zygier replied before hanging up. There was a second conversation a few weeks later, in mid-January 2010. "I have information to the effect that you worked for a European company. Can you tell me what you did there?" Koutsoukis asked. "I don't know what you're talking about," Zygier replied. "You must have me confused with someone else." Ten days later, the Israeli domestic intelligence service arrested Zygier after the Mossad had asked him to return to headquarters to discuss the warning received from Beirut. The story revealed by internal investigations came as a shock to the Mossad. Apparently Zygier, frustrated by the setbacks and what he felt was a demotion, tried to find new sources -- presumably in an effort to rehabilitate himself and prove how valuable he was. According to the investigation, Zygier admitted during several interrogations that, prior to his departure for Australia, he had without authorization met with a Hezbollah associate in Eastern Europe to recruit him as a source. What Zygier didn't know: The Hezbollah associate reported the meeting to Beirut and began playing a double game. He persuaded Zygier that he was interested in working with him, but he coordinated every step he took with the Hezbollah intelligence service. Even Nasrallah himself was informed. The contact between Zygier and Hezbollah went on for months, and at some point it was no longer clear who was managing whom as a source. The Lebanese official lured Zygier, and he asked for proof that the Australian was indeed working for the Mossad. The investigation report indicates that Zygier began supplying the Lebanese with intelligence information from Tel Aviv, including information relating to the spy ring of Ziad al-Homsi and Mustafa Ali Awadeh, the Mossad's two top informants in Lebanon, who were exposed as a result. When he was arrested, the agents found a CD with additional classified information that was apparently from the Tsomet department, say Israeli officials with access to the investigation. Zygier never managed to deliver the CD. Tel Aviv, early March 2013. "Zygier wanted to achieve something that he didn't end up getting," says a senior government official who is familiar with the investigation. "And then he ended up on a precipitous path. He crossed paths with someone who was much more professional than he was." At some point, says the Israeli, Zygier crossed a red line and went to the dark side. The Australian government also launched an investigation. If it was true that Zygier had used his passport "for the work of the Israeli intelligence service," it would raise "significant questions," a report by the Australian Foreign Ministry reads. Israeli informants have certainly changed sides in the past. But a regular Mossad employee has never done what Zygier did. It is a bitter defeat for Israel, but for Hezbollah it is one of the rare instances in which an Arab intelligence service prevailed over its Jewish counterpart. Zygier's betrayal is also a heavy blow to the Mossad because it raises doubts as to the integrity of the agency's own people -- and the manner in which it recruits employees. Lior Brand, one of Zygier's friends from the Gazit kibbutz, believes that Zygier simply wasn't up to the task. The lies, the silence and the loneliness were too much. The Mossad "made a big mistake" by recruiting him, says Brand, adding that he cannot forgive the agency. Israeli intelligence agencies wanted to set an example and indicated to Zygier's attorney that they wanted him to spend at least 10 years in prison. While he was in custody, in the summer of 2010, Zygier's second daughter was born, and the family was permitted to visit him. Zygier was allowed to talk to his mother Louise on the phone on Dec. 15, 2010. He was dead a few hours later. One can only speculate over the true reasons for Zygier's suicide. what truly motivated Zygier. Wounded pride? Shame? Revenge? His parents could perhaps answer these questions, but they are saying nothing. Money, all involved seem to agree, did not play a role in the case. After the Israeli security officials had released Zygier's body, the family invited his closest friends to the funeral, including Daniel Leiton from Gazit. Leiton went to the cemetery and asked why Zygier, just 34 years old, had to die, but he received no answer. He loved Israel, Leiton says, adding that something went terribly wrong. The parents had an inscription engraved on the polished black tombstone: "May his soul be bound in the bundle of life." Zygier was buried in the Jewish cemetery of Springvale. In Australia, not in Israel. Israeli authorities decided to close the investigation into the case of the occupation soldiers' attack on Palestinian youth Ahmed Eshteiwi, 24, using sniffer dogs, in March 2012. Eshtewi was seriously wounded when an Israeli soldier gave a signal to the dog accompanying him to attack the Palestinian youth, during the suppression of a peaceful demonstration staged in March 2012 in the town of Kafr Qaddum in the city of Qalqilya, in the northern West Bank. to close the file of the incident as "it does not rise to the magnitude of the crime. It is rather an ordinary event that does not require prosecuting the military unit, which had unleashed the dogs against Palestinians," according to Israeli claims. The Palestinian activist, Murad Eshteiwi said in a press statement that the military special unit had deliberately urged the dog to attack Ahmed Eshteiwi, and that the dog had continued biting the young man and hung on for several minutes before the eyes of the Israeli occupation soldiers. He added that after the soldiers had managed to release Eshteiwi's arm from the dog’s jaws, they had arrested the young man and he had been detained for 9 months. Murad Eshteiwi called on the State's institutions and the human rights organizations to intervene for activating the case file and prosecuting those responsible for the incident. Meanwhile; the Israeli military prosecution is preparing an indictment against a soldier and an officer who were involved in an incident that caused the death of Uday Darwish, a 21-year-old Palestinian from the village of Dura in al-Khalil southern West Bank, on January 12.
officer deliberately shot him when he was trying, along with other Palestinians, to get through a gap in the West Bank separation fence in order to reach his workplace in Rahat inside the Palestinian 1948-occupied territories. The results of military police investigations in the case showed that the soldiers have violated orders when they opened fire at the Palestinians. Thus, the military court in Yafa decided to extend the detention of the two soldiers. Israeli Newspaper Maariv reported Friday, that Israeli judges and courts “go easy” on Israeli perpetrators who assault Palestinians, giving them “ridiculous” sentences, which would encourage such assaults. Maariv added that with the reduced sentences given to Israeli’s who assault Palestinians, these attacks are increasing drastically, and will continue to unless deterrent actions are taken. The newspaper recollects several incidents of reduced sentences, one of the examples is an incident that happened last august where Palestinian Jamal Joulani was attacked by three Israeli in Jerusalem, and after a settlement with the court the charge of assault was dropped, and only a charge of encouraging violence remained, which will give the assailants a reduced sentence. In another incident in February 2011, four Israelis killed Hussam ar-Rwaidi from Jerusalem, murder charges were dropped, and the murderer was sentenced to 8 years in prison. Police arrested four youngsters from Tiberias on Monday for allegedly attacking an Arab street cleaner in Tel Aviv on February 24. The cleaner, Hassan Usruf, claimed he was attacked on the city's seaside promenade by a group of more than 20 Jewish youngsters who violently assaulted him while shouting racial slurs. The investigation, codenamed "beach party," was made public following the teens' arrests and the confiscation of their computers for evidence. According to suspicions, they arrived in Tel Aviv for a Purim party and immediately afterwards attacked the cleaner. "They beat me because I'm an Arab," Usruf said a few hours after the attack. "Around 4 am we started working. I was going around with a water jug that I filled up to wash the road. "I told them 'calm down,'" Usruf added, "and then they grabbed me and began to hit me. One of them hit me in the head with a bottle. I fell to the ground, and they took turns kicking and hitting me. I shouted, 'We are all brothers. For me there are no Jews or Arabs.'" According to Usruf, it was at this point that he felt his life was in danger. "I told myself I would never make it home. They were drunk and beat me because I'm Arab. They were racists," he recounted. "I tried to run away, but I couldn't. I was on the ground, alone against 20 people. God loves me so I survived. I've been working with Jews for years and they are like brothers to me, but these people were drunken racists." The day following the attack 130 people protested in solidarity with Usruf at the place of the attack. The demonstrators, among them several Knesset members, called on the police to apprehend the attackers and protested the "leadership's incitement," which, they claimed, forms tacit agreement to racially motivated violence. Jerusalem incident: Girls filed counter complaint, arrested Meanwhile, police are still investigating the attack of Hana Amtir on February 25 near a Light Rail station in Jerusalem, and have publicly stated that the attack was was nationalistically motivated. Three teenaged girls arrested for allegedly assaulting Amtir were released under restrictions, and it was agreed the three will be barred from entering Jerusalem. A police representative said at a court hearing that the girls ran into the woman randomly, asked her if she's an Arab and attacked her after she answered affirmatively. He further claimed that the girls spat at the woman, called her an "Arab b**ch," punched her and removed her head garb. Following the hearing the court decided to release the suspects under restrictions. Two were banned from Jerusalem for 45 days, the third for 30. 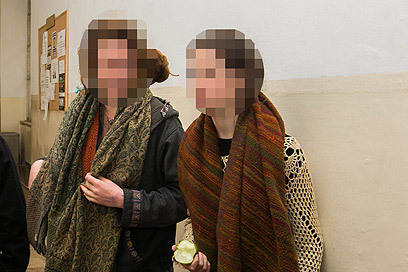 Two of the girls were arrested after reporting to the Jerusalem Police station and filing a complaint against the woman. They claimed they were acting in self-defense but were promptly arrested after an interrogation. The third suspect, a 17-year-old from Binyamina, was arrested on Sunday. The suspects' lawyer, Attorney Itamar Ben-Gvir, called the case an "extreme Left spin," and said that one of his clients has medical documents which testify to the beating she suffered. "The more testimonies come up the more the woman's innocence is questioned. She didn't shy from hitting the girls and shouted racial slurs against the Jewish people," Ben Gvir said. Ben-Gvir added that the Arab woman herself should be arrested based on footage from security cameras footage and other testimonies. Ahmad Amtir, Hana's husband, rejected the girls' allegations. "Obviously they filed a complaint; they think it will get them out of this," he said. "But why would a pregnant woman at an unfamiliar place start a fight with these girls? It's a lie. "There's security camera footage and you can see what happened. She didn't hit them and it's good to hear the three girls were arrested. I hope such incidents will not recur. Our home was like a graveyard for a week." Arab-Israeli swimmer victim of discrimination? Israeli media are reporting that an Israeli judge has been reported for beating his children. Yet the social welfare system, attorney general and courts have refused for three years a request by the police to authorize a full investigation. A website dedicated to whistleblowing involving Israel’s social welfare system, reports (Hebrew) that Judge Rafi Aranyah of the Rishon LeZion court is the suspect in question. The report finds that he “hit and attacked” his children over an extended period. Two years ago the attorney general rejected a request to open an investigation and the abuse continued since that time. The case began with a teacher who reported the judge to the social welfare agency. Arniyah then approached the teacher and expressed remorse for his behavior. The police investigation lasted a year leading to a request of the AG to pursue charges against him. That request is still pending. 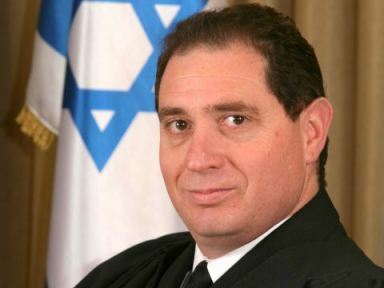 Israel State radio (Kol Yisrael) reports that police officials have amassed troubling evidence against the judge which should lead to contact with his children being rescinded and to charges being filed against him. In an effort to mitigate his behavior Aranyah attended parenting training, but the abuse of his children has continued. Maariv, and Mako have reported on this case without naming the suspect. News1 reported Aranya’s name, took the article down and then reposted it. Channel 2 TV news first reported the story (also without naming the judge). In order to excuse his negligence, the AG announced that he’d determined from child welfare authorities that the children (despite the ongoing abuse that’s alleged) “continue to function at a high level” with no evident difficulties and continuous contact with their parents. If the nation’s highest legal officer is to be believed (and why wouldn’t you?) there have been no complaints of further abuse since those of three years ago. Further, the only consideration for him in this case is the “good of the children.” So in an effort to let himself off the hook and excuse himself from dereliction of his duties, he’s revealed that he’s allowed children to continue being endangered in the family environment, which includes a violent, abusive father. And that’s for the children’s good. In Israel, judges enjoy immunity from prosecution comparable to that afforded MKs. Only the AG can approve investigations and prosecutions in such cases. This offers Judge Aranyah further protection and exposes his children to further violence at his hands. His judicial colleagues have afforded him further immunity: the chief judge announced that he was not aware of any investigation of any judge for violence against his children. The question is now that they know of the investigation what will they do. Will they prevent him from hearing any cases involving violence against children or parental abuse? Unlikely. The judge has himself ruled on cases involving child abuse. In one particularly egregious one he had some trouble believing a wife and child who said the husband/father stabbed her, in the face of the abuser’s claim that his wife stabbed him. The judge extended the suspect’s detention for a whole extra day. Imagine, a man stabs his wife, endangers his children, and all the judge can muster is a single day of jail time. After which what would happen? Send him back into the home so that he could murder her next time. Can you imagine a judge accused of child abuse ruling on a case in which a suspect is accused of the same crime? It’s insane. But apparently not a major problem in the State formerly known as a democracy. This story is yet another example of the culture of impunity which the powerful enjoy in Israeli society. Because the attorney general is a member of the same professional circles as the offending judge, his one hand washes the judge’s other and the only ones harmed are the judge’s children. If you read Hebrew, I recommend this powerful denunciation of the judge’s abuse and Weinstein’s dithering by Arianna Melamed. An Israeli court rejected a Palestinian lawsuit filed against the Israeli army regarding its killing of civilians and children from one family in an aerial attack on their house during the 2009 war on the Gaza Strip, and also fined the plaintiffs. The Israeli central court in Beersheba two weeks ago refused the complaint that was filed by Al-Mizan center for human rights against the Israeli army about its bombing of a civilian house belonging to Fayez Saleha on January 9, 2009. The court also decided to fine the plaintiffs 20,000 shekels as expenses for its adjudication. The court acquitted the Israeli army and claimed that despite the proved failure of the army to give the residents the chance to leave their house, the Israeli aerial attack happened during wartime. According to a probe into the attack conducted by Al-Mizan center, an Israeli drone had fired one missile at the house, which is located in Beit Lahia north of Gaza, before another Israeli warplane hastened to drop a heavy bomb on it. The bombing led to the killing of Saleha's wife, all her four children and her young sister. The victims are Randa Fayez, the mother and her kids, Diauddin, aged 14, Bahauddin, four years, Rana, 12, and Rula, one year as well as her sister Fatima, 22. Al-Mizan center had filed a request in November 2009 with the Israeli military prosecutor demanding him to open an investigation into the incident, but he closed the probe quickly and did not make any indictments.